Many people think that traveling abroad comes with a hefty price tag that only a select few can afford. Others might argue that to snag a great deal, you need to have access to secret sales or know tricks that are not available to the common traveler. The truth is that it’s never been more affordable to travel internationally than right now and all the great deals are available right in the palm of your hand. Following Wanderu’s launch in Europe in January, we noticed that many of the thousands of new international routes that became available on our search platform were really affordable. For example, you can find a bus deal from Paris to Amsterdam for $20, and there are trips from Berlin to Vienna going for about $23. With the addition of tons of low-cost airlines now offering affordable trips across continents, making room in your budget for an international adventure is no longer that big of a challenge. All of those awesome deals inspired us to develop a multi-city journey that would allow anyone on a tight budget to visit many European countries on a single adventure for cheap. As the most travel options were available to and from the biggest cities, we decided to focus on European capitals. To build the trip, we paired Wanderu’s unique routing technology with an algorithm we designed that weighed all possible trips for the best balance of price and duration to find the most optimal routes based both on average and lowest available prices. What we ended up with is pretty epic! Below, you can find a breakdown of the entire trip to help you plan your own Euro adventure. As you will see, on average, this trip would cost you a little under $600. However, if you plan in advance and build your trip only using the lowest available bus fares, you can end up touring Europe for less than $400! We included 15 European capitals and, with the help of our algorithm, we arranged them in the most optimized way that would ensure the shortest possible travel times. That way, you can easily stop by some of the most popular destinations across the Old Continent and experience the local culture while getting enough rest in-between destinations to keep you going for longer. As you can see in the map above, the trip is a loop, so it doesn’t matter what your starting point is. That way, you can book a round trip to your starting point and not have to deal with additional travel planning and unnecessary hassle. 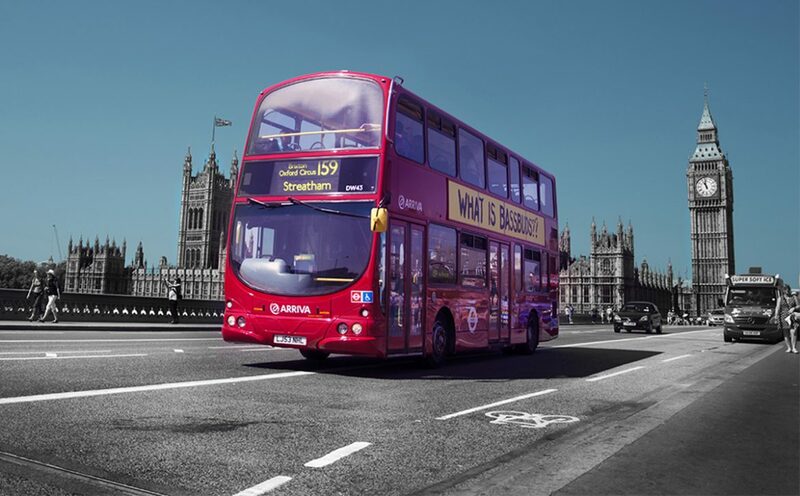 Prices are based on the average cost of bus tickets available on Wanderu for each route over a 30-day period. Some trips might require a transfer to reach the final destination. Euro Trip for Less Than $400! As the prices quoted above are average for the listed routes, you can find even cheaper options to complete the trip. In fact, we looked at the lowest prices that we could find for each route over a 30-day period and discovered that, if you book only the cheapest tickets, it is possible to visit all 15 destinations for less than $400 – $367.88, to be exact! Prices are based on the lowest available bus fares over a 30-day period. Train travel has been the preferred way to go across borders in Europe over the past few decades and it still remains one of the most popular modes of transportation for many Europeans. Over the last couple of years, though, bus travel has emerged as a viable and more affordable alternative. One of the biggest advantages that buses have over trains is the ticket price – while a train trip from Berlin to Warsaw could cost you around $42, you can get a bus ride for as little as $18. Another popular way of travel across Europe is through low-cost airlines that offer flights for just a fraction of what national carriers would charge. However, while the ticket might be relatively cheap, you will end up paying for any bags you’d like to bring along (in some cases, that includes even carry-ons) and you will need to shell out extra bucks to get from the airport, which is located well outside the city, to your final destination. Bus stations, on the other hand, are usually located in the center of the city, saving you tons of money on taxis, and bus carriers usually allow you to bring along at least one big suitcase free of charge. What’s up with the long travel times? Nowadays, most buses offer free WiFi, allowing you to keep up to date with everything happening on social media, read the news, listen to your favorite music, etc. They also come equipped with power outlets, so that your phone, tablet or computer will not run out of battery. If you’re a blogger documenting their trip, being on the bus is the perfect way to kill two birds with one stone – you can write an article about the city you just visited while you’re on your way to the next one. The same applies to those who need to check in with work – use the time on the bus to get all your tasks done, so you have more free time to explore! Some of the trips on the list include layovers and transfers in various locations along the way (no worries, the layover time has been factored in the trip duration). Instead of hanging around the bus station, you should venture out and make the most of your time in-between trips. For example, the bus from Zagreb to Rome stops for a couple hours in Milan or Munich (depending on the trip you take) and both stations are in a central location, allowing you to check out various places of interest like Munich’s historic New Town Hall or Milan’s world-famous cathedral. Of course, try not to go to these places in the wee hours of the night just by yourself – we want you to be safe. Going cross-country on a bus allows you to take in the beauty of every region you pass by. Make sure to grab a window seat and enjoy all the beautiful nature landscapes that unfold before your eyes. You will be exhausted from all the walking around and sightseeing, so hopping on a bus might be a welcome break for you. Use the time to relax, recline your seat and take a well-deserved nap. If you can handle it, we recommend getting on an overnight bus and sleeping your way to your next destination. That way, once you arrive, you have recharged your power and you’re ready to conquer more unexplored territories. Time to hit the Euro roads! Getting to all the hottest destinations across Europe is easy when you have services like Wanderu (including the free Wanderu app) helping you to find the best travel deals. If you travel by bus, you can save a ton of money and spend your spring or summer country hopping without making it tough on your wallet. Plan your trips ahead of time to get the cheapest price and save enough to make this your most memorable adventure to date! Using Wanderu’s proprietary data covering bus travel options in Europe, including pricing, duration and schedule information of multiple partner carriers, we leveraged our unique routing technology that allows us to route and build multi-stop travel itineraries for users in real time. With its help and the use of a graph database and graph theory principles, we then analyzed hundreds of thousands of possible bus routes connecting the major capitals in Europe. By weighing the possible trips for the best balance of price and duration, our routing technology was able to find the most optimal European road trip based both on average and lowest prices. To ensure that this trip is more than just data science, the Wanderu algorithm used actual bookable trips to verify that this road trip was possible at these prices over multiple consecutive days. You are welcome to use the information and map on this page, crediting Wanderu. If you do so, please link back to this page, so that travel enthusiasts around the globe can check out all the available trips and find out how we came up with the trip.